Argo Translation, an innovative, full-service translation firm based in suburban Chicago, has announced the recent addition of three employees and expansion of its U.S. offices. Paul Kujawa has been named Business Development Manager and will run the company’s new Milwaukee, Wisconsin office set to open in late summer 2016. Kujawa comes to Argo after a 20-year career in the securities industry as a stock trader and a collegiate career in football; a fullback for the Iowa Hawkeyes, Kujawa was a member of their 1991 Rose Bowl team. Tyler Lucarelli joins the Argo team as a Marketing and Production Assistant. 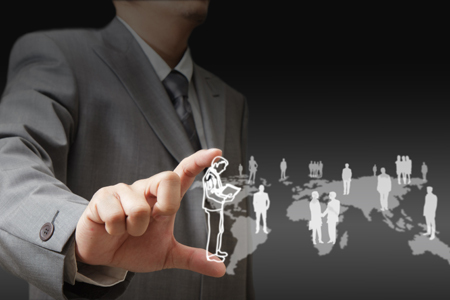 He will focus on market research and assist the company’s business development team. In addition, Lucarelli is working toward his higher-education degree, with interests in computer programming and the sciences. Fabio Franchi joined the team in July 2015 as a Business Development Manager. He spearheads sales for Argo out of Chicago. His background includes business development in the metals and engineering industries. Franchi graduated from the University of Illinois and holds an MBA from DePaul University. Patrick Daley joined the team in January of 2016 as a Project Manager after graduating from the University of Illinois Urbana-Champaign with a BA in Spanish. He previously worked as a project manager in Philadelphia before joining the Argo team. To accommodate its growing staff, Argo has secured additional space for its home base in suburban Chicago, with the intent of doubling its current square footage. Having successfully executed projects requiring simultaneous translations in 46 different languages, Argo Translation provides specialized and professional translation services for a multitude of domains ranging from legal and technical to marketing and financial, and everything in between. Argo provides efficient, accurate translation and localization services focused on quality and clarity for a wide range of companies across North America. 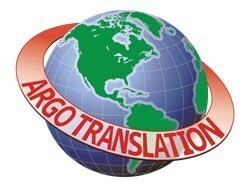 More information is available at www.argotrans.com.